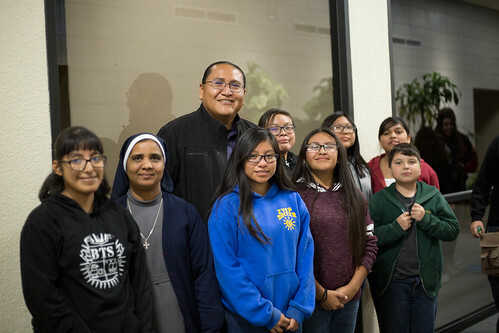 A group from St. Anthony Parish in Zuni, NM at the 2018 Southwest Catholic Youth Conference. 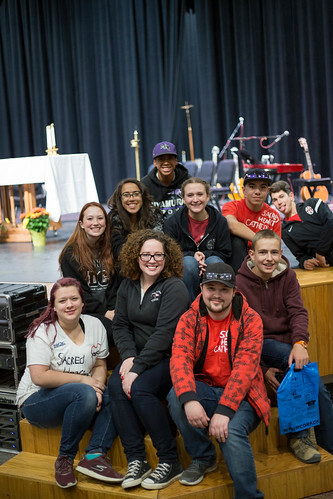 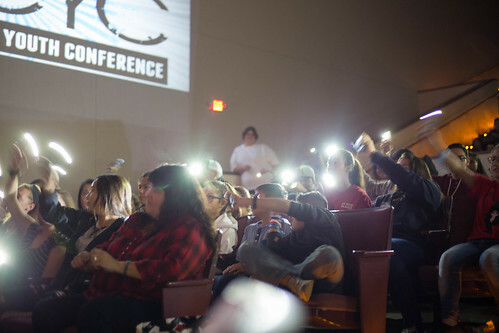 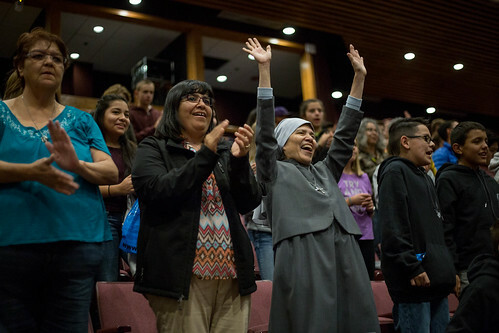 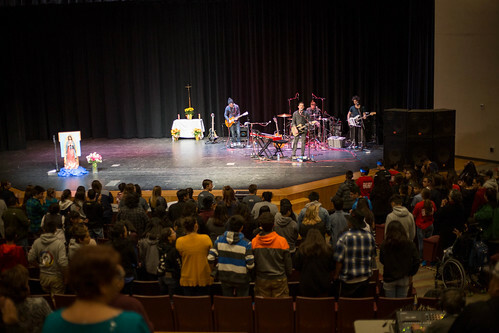 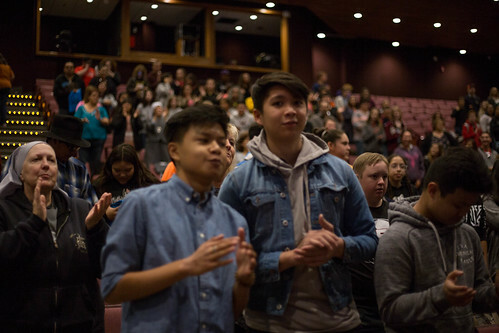 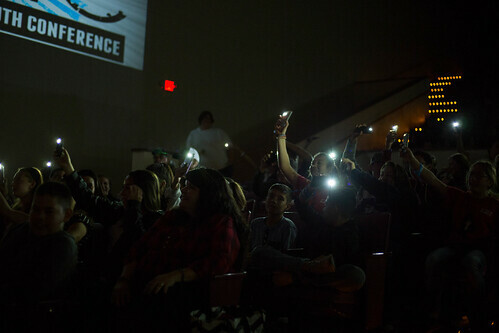 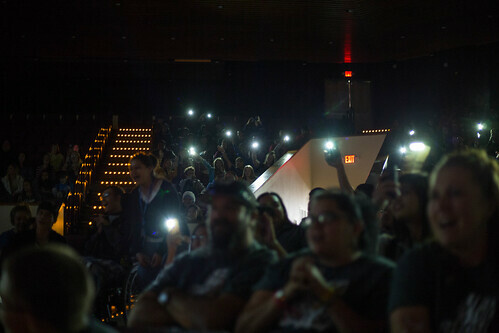 Hundreds of young Catholics gathered in Farmington, NM on November 3rd for the annual Southwest Catholic Youth Conference. 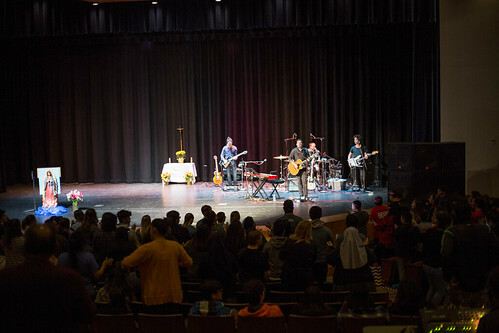 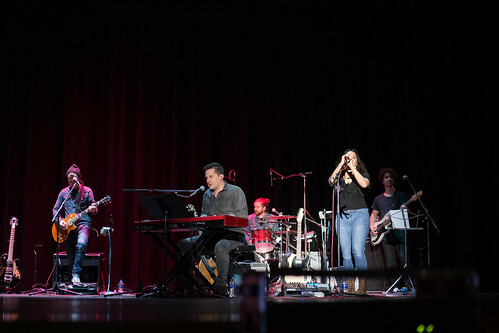 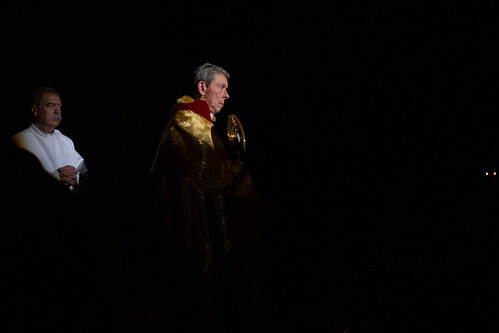 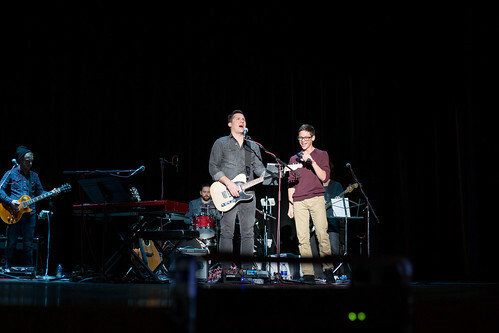 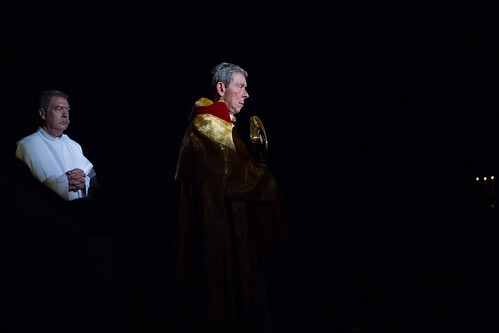 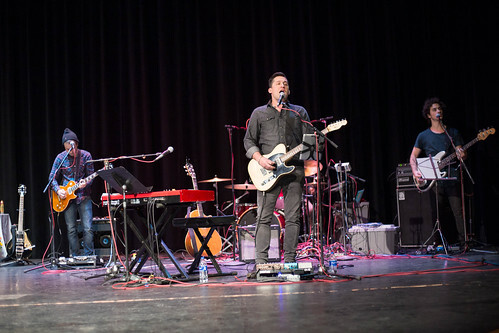 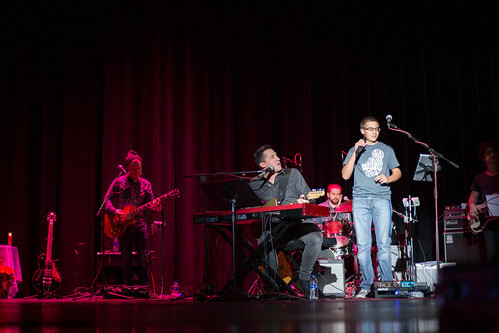 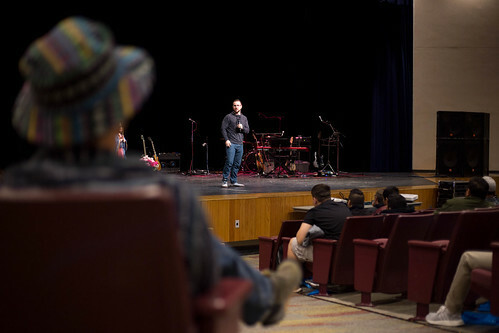 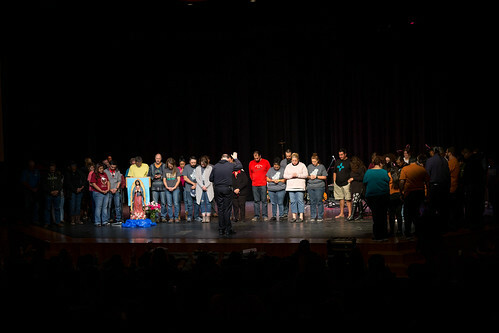 Now in its 8th year, the conference is organized by LifeGuard, a pro-life advocacy group based in Durango, CO.
“Fruits” was the designated theme for the 2018 conference, which featured national Catholic speakers Joel Stepanek and Katie Prejean McGrady, Bishop Stephen Berg of the Diocese of Pueblo, CO, and live music and entertainment from Josh Blakesley and his band. 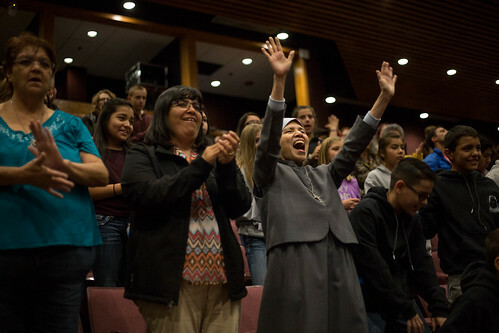 The conference is annually co-sponsored by the Diocese of Gallup and the Diocese of Pueblo in southern Colorado. 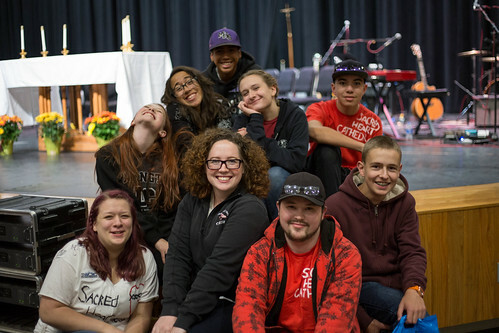 Youth groups, parents and sponsors traveled from parishes in Arizona, New Mexico and Colorado, along with nearly a dozen priests and religious from all three states. 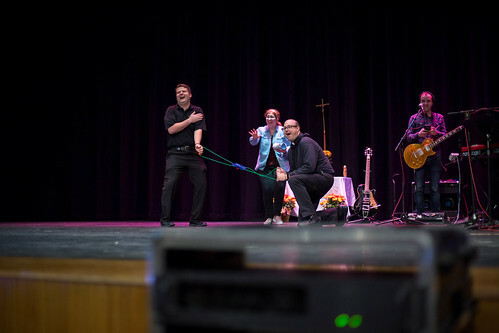 Youth, parents, and attending religious have a bit of fun during entertainment between speakers from Josh Blakesley and band. 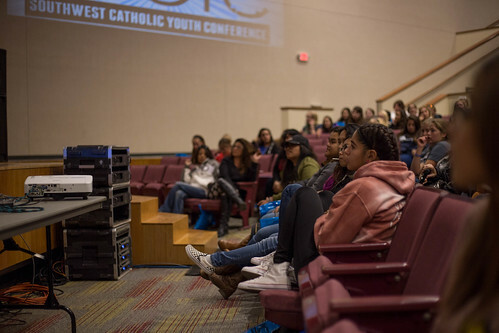 While Stepanek and McGrady each gave a keynote address, a more direct talk was prepared by each for a select audience – Stepanek spoke one-on-one with the young men, followed by a talk of McGrady’s to the young women. 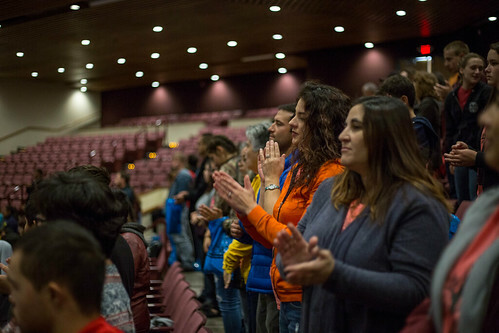 Stepanek specifically spoke out against apathy, criticizing young people who argue and fight from behind a screen or on social media but don’t stand up for their beliefs face-to-face. 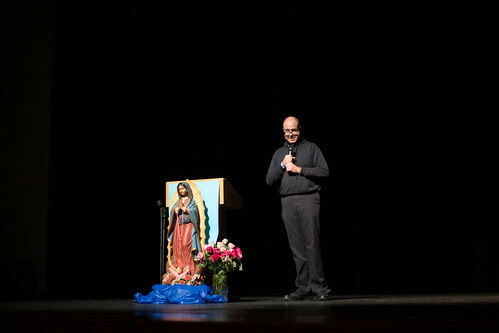 Stepanek recounted the story of one young man who had written to him: a friend was considering an abortion, and the young man decided to speak to her and encourage her to have her baby, ultimately succeeding. 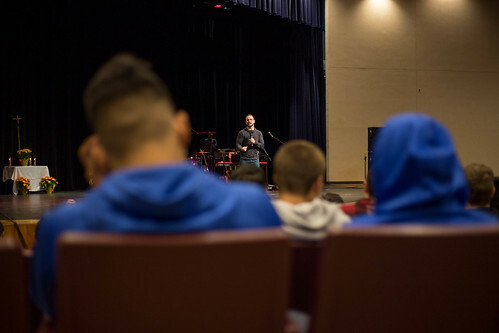 This, Stepanek said, was a sign of true manhood: reaching out to those around you, even in uncomfortable situations. 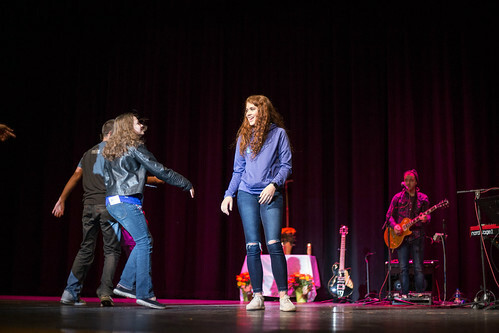 When her turn came to speak one-on-one with the young women, McGrady also emphasized society’s need for the unique gifts and talents offered by those in attendance. 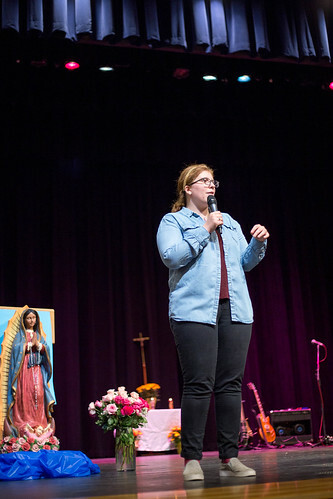 “Look at what’s happening in our Church right now,” McGrady added, referencing that the #MeToo movement and the latest abuse scandal in the Church, have only highlighted the struggles that women and vulnerable persons still face. 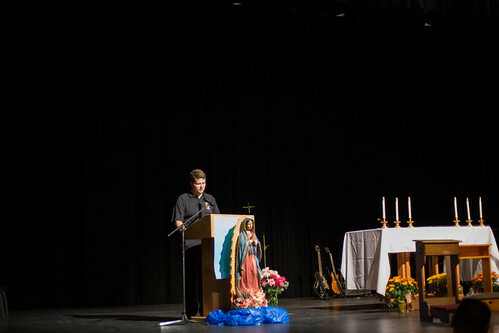 McGrady encouraged all of the young women to read Pope St. John Paul II’s Letter to Women, and to look to Mary as the truest model for the unique gifts of women: strength, limitless fidelity, and penetrating intuition. 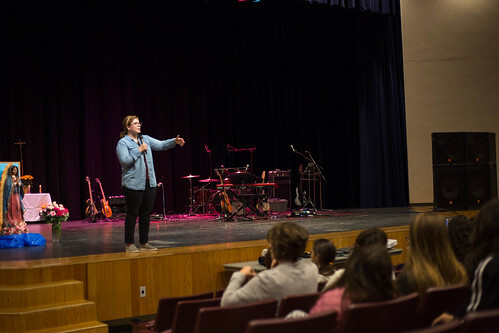 She told the young women that their value is not measured by whether or not they have a boyfriend, or power, or how they measure up to others through superficial measurements. 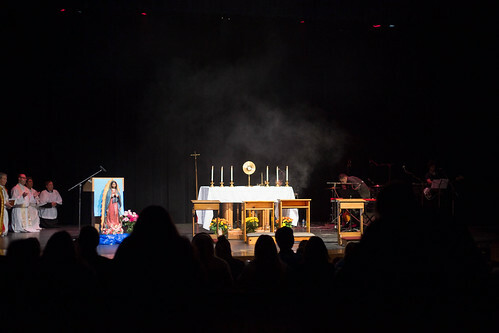 For his talk, Bishop Stephen Berg also touched on the current abuse crisis, noting that he especially wants to hear the opinions and thoughts of young Catholics. 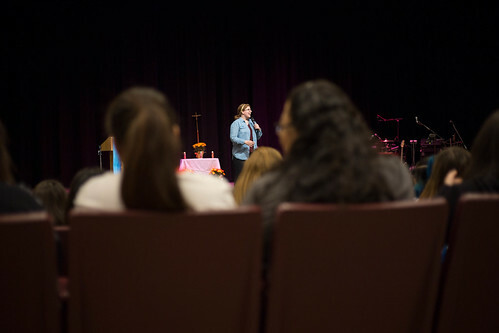 Echoing the theme of McGrady’s talk to young women, Bishop Berg emphasized Christ’s love for those gathered at the conference. 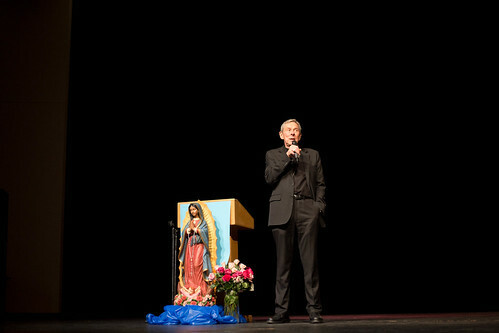 Bishop Berg also related his own vocation story, recalling that as a young man, he desired a family of his own, “but that wasn’t what God had me directed for.” Joking that he is known to his nine siblings and dozens of nieces and nephews as the “wedding uncle”, Bishop Berg said that that his flock and parishioners have fulfilled that desire. 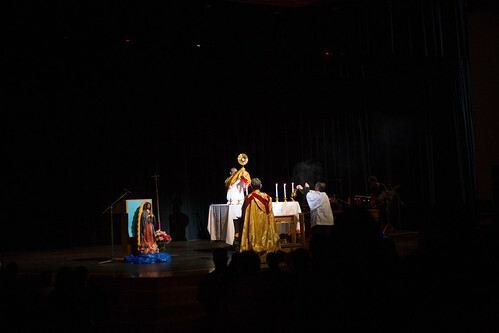 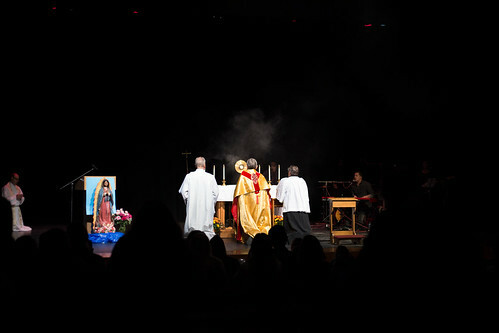 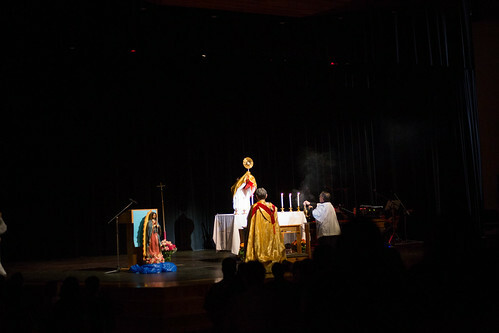 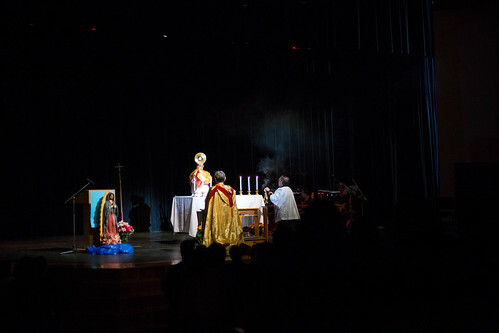 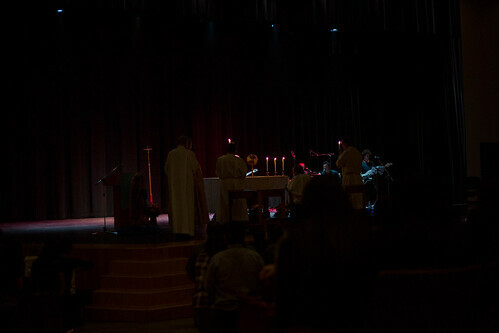 The Conference concluded with Mass, an evening meal, and Adoration and Benediction.